When you’re looking to help your child reach their social, behavioral, and/or academic goals, The Brain Balance Achievement Center of Virginia Beach is here for you! We have helped tens of thousands of children through our holistic approach. By creating a customized plan, the Brain Balance Program is able to target your child’s unique challenges and provide the support they need to reach their goals. That’s why children are first given personalized assessments when they begin their journey at Brain Balance. 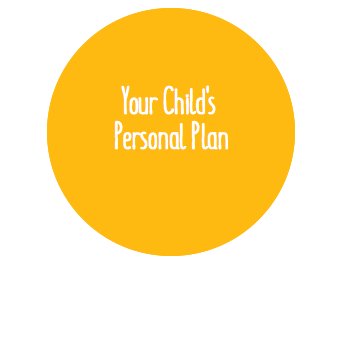 The assessments allow us to identify your child’s challenges and create a plan just for them. The Brain Balance Achievement Center of Virginia Beach works to support your child through a drug-free, integrated approach. The Brain Balance Program combines academic activities and sensory motor training with nutritional guidelines to help your child reach their social, academic, and/or behavioral goals. Did you know that trouble in the gut can also affect the brain? Children with Autism, Oppositional Defiant Disorder (ODD), Attention Defiant Hyperactivity Disorder (ADHD), and other behavioral disorders could be struggling with leaky gut syndrome. Leaky gut occurs when bacteria trickles from the intestines into the bloodstream, which could end up reaching the brain. This syndrome can cause behavioral issues such as hyperactivity, aggression, lethargy and extreme cravings for foods that are high in gluten or dairy products (such as chicken nuggets and ice cream). Most children with leaky gut will have trouble digesting foods that are high in gluten or dairy, which can cause discomfort and stomach issues. Leaky gut is commonly found in children with Autism and other behavioral disorders. At Brain Balance Achievement Center of Virginia Beach we believe that proper nutrition can have remarkable, positive changes in a child’s behavior. Our drug-free approach can help children with leaky gut as well as behavioral, social, and academic challenges by combining physical and academic exercises with dietary changes. The Brain Balance program helps to establish proper brain and body functions which can lead to elimination of negative behaviors and improve the ability to learn academically and socially. A typical program will include 3 in-center sessions per week to cover academic skills and sensory-motor activities; however, frequency and duration may differ depending on the results of your child’s assessment. Make A Change. Try Brain Balance! Brain Balance Achievement Center of Virginia Beach has a plan for children struggling with academics, social skills, and behavioral issues. If your child is experiencing signs of leaky gut syndrome, we can help to address this issue with our drug-free approach. Not only can our program help to improve your child’s gut health, but the Brain Balance program can also better brain health and behavior. Ready to get started? Call our center at (757) 644-6460 or fill out the form above to learn more about The Brain Balance Program.